In Yoga, traditional Sun Salutations are the way a yogi warms up the body to prepare for more intense poses to follow. Sun Salutations are often done in the beginning of a class, or after a light total body gentle warm-up coming from seated or a laying position. Sun Salutations are designed to build heat, known as Tapas, which helps spark the internal fire of practice, known as Agni. 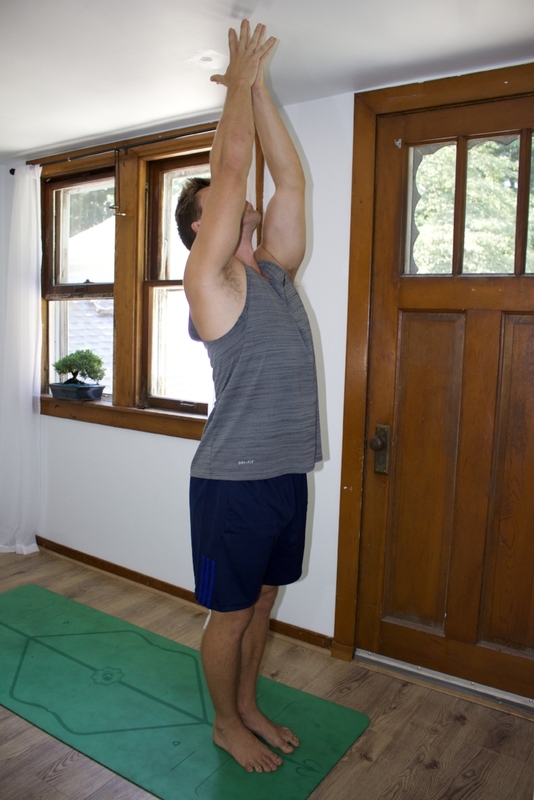 Sun Salutations are also great at helping a yogi link their breath to their movement. Linking breath and movement helps a yogi meditate in motion while moving through a yoga practice. Furthermore, Sun Salutations are an offering of thanks to the sun for supporting life on earth. In Sanskrit, the ancient ceremonial language of Yoga, Sun Salutations are known as Surya Namaskara, which literally translates to- Reverence or Prayer to the Sun. Surya Namaskara are often done in the morning, to the rising sun, but can be done any time you need to spark the fire of a solid foundational yoga practice. There are 20 total movements in a Traditional Sun Salutation, with 10 movements on each side, repeated twice. Each movement is linked to a breath, and you begin and end in the same place, standing upright with palms together at hearts center. Having the hands together at hearts center while standing upright is known as Samasthiti. Follow the video above, or the picture guide below to practice Surya Namaskara. With the completion of the second side, ending with hands at heart center, you have completed one Traditional Sun Salutation. Traditionally, you want to complete at least 3 full rounds of Sun Salutations to effectively warm-up the body before moving on to other poses, or asanas. You can do as many as 3 full rounds, or more all the way up to 108 full rounds which will take around 2 hours to complete. Good luck practicing Traditional Surya Namaskara.